Hundreds of Egyptians gathered in Cairo’s Tahrir Square urging the country’s interim military rulers to give a definite timeline for a handover to civilian rule. An angry crowd then moved on to the Israeli Embassy and demolished a wall there. In Tahrir Square on Friday, protesters were holding anti-corruption banners, one of which said "The people want to purify the state." The new demonstration is dubbed “Correcting the Path” of the revolution which swept through the country in winter this year and crushed Hosni Mubarak’s regime. The participants of this Friday’s protests were also demanding an end to military trials of civilians and pushing for a speedier transition to democracy. The country has been governed by an interim government for almost eight months and is in the run-up to presidential elections, preliminarily scheduled for October or November 2011. The protests were not interrupted by the police, who were swept from the site for 24 hours on the Interim Minister’s order to allow the demonstrations to be held peacefully. 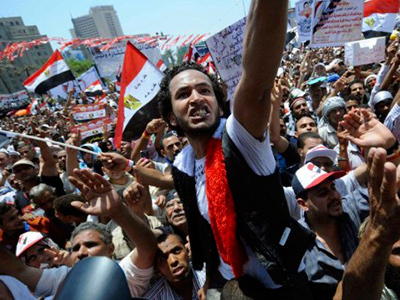 Tahrir Square in Cairo has become a regular place for protests since the old regime fell in February. 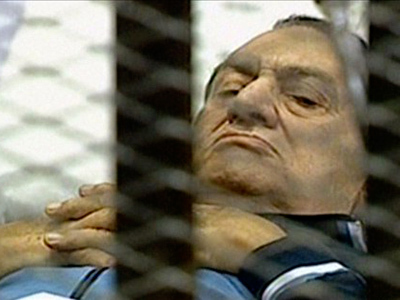 Since then, protesters have been demanding quicker reforms and prosecution for old regime leaders, including Hosni Mubarak himself, who is now under a trial. One of the organizers of the demonstration Dr. Shady Al-Ghazali Harb says the problem is that very little has changed since Mubarak was ousted. “The security is treating us in the same manner as they did before the revolution, so there has not been any real change,” he said. The people gathered in Tahrir Square for the “Correction” demonstrations today do not represent the Egyptian population, says Sabah Al-Mukhtar, president of the Arab Lawyers Association. It is only the liberal movement. 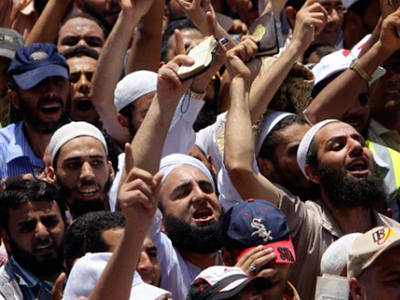 What we see now is a political struggle between various political movements, which have raised their heads over last two months in Egypt, added Al-Mukhtar. 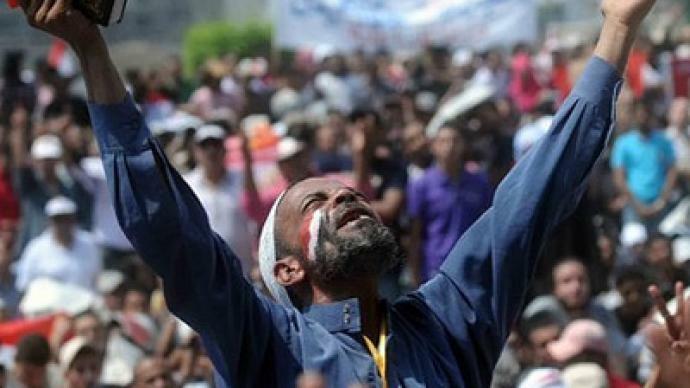 ­Some Tahrir demonstrators later crossed the Nile into Giza to destroy the wall Egyptian authorities had built around the Israeli embassy, following the protests that erupted over the killing of five Egyptian solders in the Sinai district. Egyptian police stood aside watching as protesters set about the concrete wall with hammers and large metal rods, reports Reuters. A group of some 30 protesters have broken into an apartment one floor below the Israeli embassy and started throwing piles of documents off the balcony, an Egyptian security official told Associated Press. According to Israeli radio, the Israeli ambassador to Egypt was safe in the residence. Israel has contacted officials in Egypt, the US and Europe regarding the incident. Tensions between the two countries, which flared up after the ousting of Hosni Mubarak, became further heated in mid-August, when five Egyptian border guards died in an Israeli security operation. The Israeli army, which was hunting down gunmen it held responsible for shootings in southern Israel, reached the Sinai district. 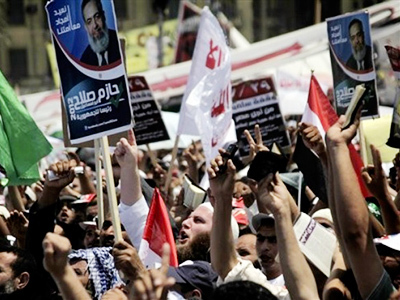 After the incident, Egypt threatened to withdraw its ambassador from Tel Aviv. Israel ordered an investigation into the deaths of the Egyptian soldiers, but has not offered a full apology.